The supernatural world is all around us. You can't turn on the TV, go to the movies, or browse a bookstore without being exposed to its influence upon culture today. Since The Exorcist, movies about demon possession have increased in quantity and gore. Witchcraft invades literature, coming packaged in stories directed towards children. Zombies, ghosts, vampires, and aliens are regular characters featured everywhere from TV dramas to History Channel specials. Some mock the supernatural. Some preach against it. Some act like it doesn't even exist. Brynne Larson may look like a normal girl-except her version of normal involves exorcism of demons and teaching people around the world that the paranormal is very real. You were created to experience the supernatural. The secret is learning how to avoid the dark side. 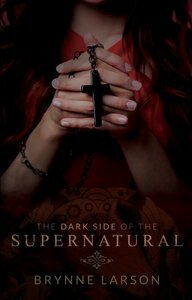 About "The Dark Side of the Supernatural"